In 2015, Maggie Foley was working in Westport. Her 2nd — almost full-time — job was planning her own wedding. Driving home one day, she noticed Bella Bridesmaids. The Post Road West shop — near Winfield Deli and Age of Reason — offers a broad selection of attendants’ dresses. Maggie was impressed. Today, she owns the Westport store. Like neighboring retailers, she tries hard to get the word out that hey, there are plenty of unique, interesting shops just across the bridge from downtown. Which is how she came to create a “Wedding Walk” on the west bank of the Saugatuck. Tomorrow (March 31, 11 a.m. to 3 p.m.), 4 stores will collaborate. They’ll host a variety of vendors, so brides-to-be, their fiances, and (of course) their mothers can check out a variety of vendors. Bella Bridesmaids, Stephen Kempson (bespoke tailoring), Organachs Farm to Skin cosmetics and Noya Fine Jewelry are the retailers. They’ve invited florists, hair and makeup experts, wedding invitation designers, event planners, photographers and more to join them. Added attractions include giveaways, raffles, champagne and light bites. Think it’s a great idea? 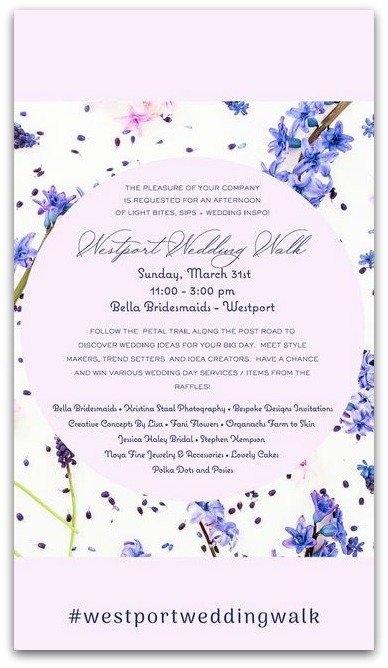 Bespoke — the creative invitation designer in Sconset Square — designed this invitation for Sunday’s Wedding Walk. Bespoke is one of the vendors at the event. 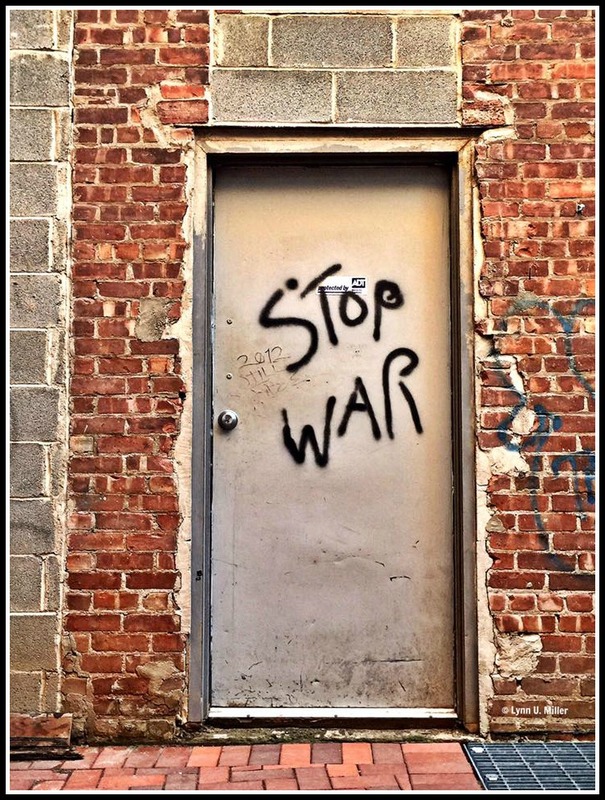 Last week’s photo challenge was one of those hidden-in-plain-sight, wow-what-was-the-name-of-that-place-again? puzzles. Elayne Landau, Jacques Voris, Dan Vener, Diane Silfen, Susan Iseman, Linda Amos, Billy Scalzi, Tracy Flood, Susan Huppi, Amee Borys, Leslie Flinn and Joan Navin all knew that Fred Cantor’s photo of a cute little storefront — with #9 near the door — was sitting there on Riverside Avenue, near the Post Road. Some of those folks — nearly all of them, for some reason, women — called it Circa Antiques. But only Robert Mitchell — a guy — knew it was Bella Bridesmaids. The next time you’re stuck at that interminable light, check it out. Or — much easier — click here. This week’s challenge is not hidden in plain sight. In fact, I didn’t even know where it was, until photographer Lynn U. Miller told me. But I know our very observant “06880” readers have seen it. Click “Comments” below, and add any stories about it that you know.